This 234 unit gated community of townhouse style condos located within the Ocotillo master planned community features 2 and 3 bedroom floor plans that range in size from 1,226 to 1,805 sq.ft. The development includes a community swimming pool, spa, fitness center and clubhouse. Unique features of this Chandler Az community include 2 car garages and 9 foot ceilings. The award winning builder Starpointe Communities began building in 2003 and completed the development in 2006 so the feel and architecture is more contemporary than other communities in the area. Located on Queen Creek Road between Alma School Rd. and Arizona Ave. The Bridges at Ocotillo is a turn key community that offers a life style perfect for those seeking a second or vacation home during the beautiful Arizona winter and spring. Situated close to the 101 and 202, access to all parts of Phoenix is one of its strengths. Whether you’re looking for golf, shopping and dining at Chandler Fashion Mall, the commute is easy and simple. The waterfront condos along the waterways offer a tranquil setting that extend through the complex. For more information regarding The Bridges at Ocotillo or Chandler waterfront condos, click on e-mail Chandler waterfront properties. Prime Chandler Location. Fabulous Townhome on waterway in gated community. Large master suite with sliding glass doors opening to a private balcony looking to waterway. Master bath with Tub and shower and 2 closets (one is walking in). Attached 2 car garage. convenient to grocery stores, malls, and freeways. Wow!!!! This is what you have been looking for, affordable living in South Chandler! You will love the peaceful tranquility of the lakes! This is a great 3 bed 2 bath town home. Full size laundry, 2 car garage this one truly has it all! Hurry today! Investor Delight! !Gated Community! Prime location - walk across to the workout room, mail box, heated community pool and spa. Great Condition, Ground floor level with two covered patios overlooking the water. Great room plan with built-in entertainment wall, split floor plan with newer carpet, Stainless steel Appliances plus full-size washer & dryer are included! Large master suite with sliding glass doors opening to waterway, separate tub and shower and 2 closets - one is walk-in, 2-car attached garage w/opener. Tenant occupied until 6/30/19 with $1260 monthly rent. 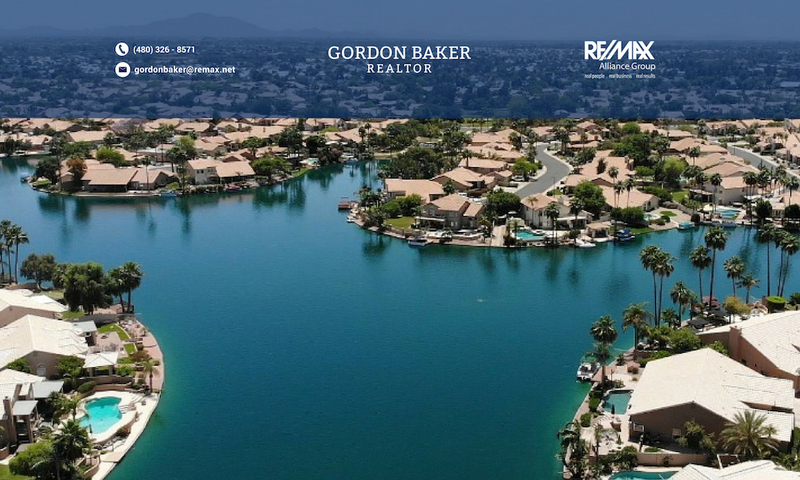 Previous PostPrevious Issues to Consider When Short Selling a Phoenix Waterfront Home or any Phoenix Az Home.